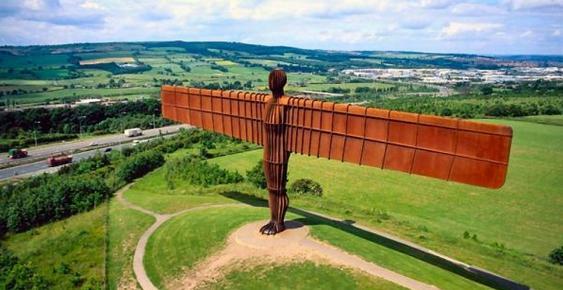 “The Angel of the North” is a very well known steel sculpture by English artist Antony Gormley. It is placed in the north-east of England, near the city of Newcastle. 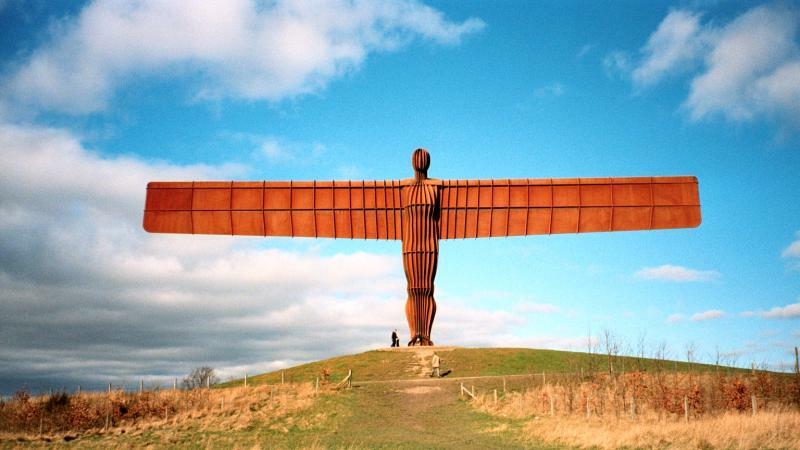 It’s a 20-metre high figure and its wings measure 54 metres. 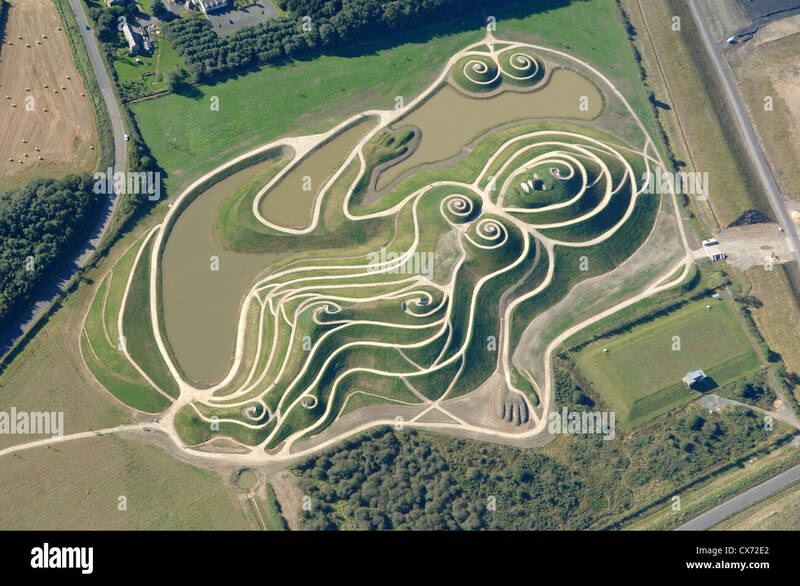 Another well known modern sculpture is the Goddess of the North, a huge reclining figure with breasts which are 30 metres high. It is placed very close to the main road and the east coast railway line to Scotland. She is made out of the earth and other waste materials that have been taken out of the ground for mining.